It seems odd that the Greens, a party that exhorts others to support an evidence-based approach to climate change, saving whales and legalising marijuana, has so little time for the evidence when it comes to preventing alcohol-related street violence and associated harms in Canberra and Sydney. Or are the Greens just another opportunistic political outfit, quick to jettison principle, along with the evidence, to placate its electoral base. Shane Rattenbury’s recent opinion article, Alcohol-fuelled violence demands nuanced response, ignores the available overwhelming independent scientific evidence that confirms modest reductions in late drinking times can prevent alcohol-related harms while being better for business. For years, ACT governments have tinkered around the edges of preventing unacceptably high levels of alcohol-related violence in the Civic precinct. Yet the problems persist. The package of sensible measures proposed by Attorney-General and Health Minister Simon Corbell in April 2016, was hijacked by Rattenbury in cahoots with Chief Minister Andrew Barr. 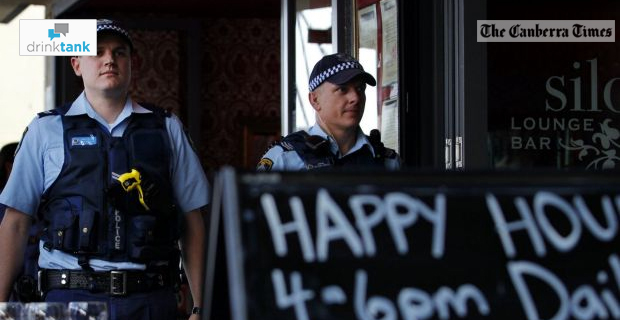 They chose prioritising pub profits ahead of public and police safety. All of this under the mantra of a “vibrant” nightlife, the “right to drink” and “nuanced (read ineffective) responses”. Newcastle, with a similar population to Canberra and a similar intractably violent CBD, reduced its level of alcohol-related non-domestic assaults in the CBD by 64 per cent on weekend nights following a modest reduction in last drinks times to 3am and a 1.30am one-way door (lockout) requirement in 2008. Over this same period, Newcastle’s CBD has undergone a cultural and business transformation. Safer streets and venues have created an environment where the number of smaller diverse bars and licensed restaurants has grown by 140 per cent, creating more jobs. Modest alcohol law reforms based on the best independent scientific evidence have improved the “drinking” culture. Professor Peter Miller from Deakin University recorded less dangerous preloading and intoxication – key predictors for drunken violence and harm – in his extensive research of Australia’s night-time entertainment precincts. The Newcastle experience also confirmed that younger drinkers and businesses are capable of adjusting to the benefits of safer streets through earlier last drinks. Of the 14 late trading pubs in Newcastle at the time these measures were introduced, 13 still operate today – one, the Civic Hotel, burnt down. This is the inconvenient truth for the Greens, the Keep the city Open crew and other industry acolytes attempt to obscure with falsehoods, misrepresentations and the perpetuation of their own revisionist mythology. Rattenbury relies on the failed Melbourne lockout trial to reject earlier last drinks for the ACT. Melbourne did not trial last drinks – it trialled a one-way door policy that was compromised by exemptions for 40 per cent of licensed premises. Furthermore, independent scientific evidence refutes Rattenbury’s claim that earlier last drinks in Newcastle “shifted the problem elsewhere”. Nor is there any evidence supporting a similar claim in Sydney. The reality is that most young people still attend late trading pubs and clubs in Civic to get wasted. Responsible Service of Alcohol is the exception rather than the rule. And it’s the Greens’ targeted youth demographic that the liquor industry relies on – 20 per cent of drinkers consume 75 per cent of the alcohol supplied. It’s disappointing that the Greens are not prepared to make a principled stand against this industry exploitation as they do with the Big banks and refugee policy. Their ACT and Sydney alcohol harm-prevention approach has more in common with the beliefs of senator David Leyonhjelm and the climate/science denier senator Malcolm Roberts. Newcastle and Kings Cross first trialled the industry preferred “solutions” before taking decisive action against the dangerous oversupply and consumption of alcohol. These industry preferred “Band-Aid” measures included improved transport, education, CCTV, ID scanners, more police and RSA marshals. They were unsuccessful because they failed to address two core problems: the dangerous oversupply of alcohol to thirsty drinkers and non-compliance with responsible service of alcohol requirements. For a political party that is allegedly committed to social equity and fairness, the Greens and their Labor cohorts have yet to justify why the overwhelming majority of ACT and Sydney citizens who never drink in ACT’s Civic, Kings Cross or central Sydney to 5am should have to foot the bill for the extensive, but primarily preventable police, health and clean-up costs associated with the operation of the small number of late trading licensed premises. The Greens’ denial of the conclusive sustainable life-saving, cost-saving and business benefits associated with a modest reduction in the availability and supply of alcohol may win them more of the opportunistic youth vote and support from liquor industry acolytes, but it destroys their overall credibility as a party based on consistent high principles supported by the best independent scientific evidence. Wow, perhaps a little too harsh in my opinion. 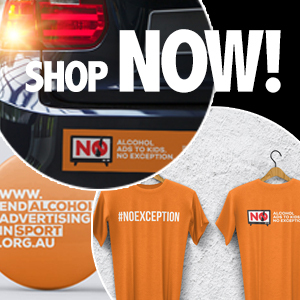 The Greens do support other useful alcohol policy areas, like restricting alcohol advertising and sponsorship. Of course political parties consider their electoral base. One of their key tasks is to get elected. Can’t blame them for that. It’s fine to criticise positions you don’t agree with, but lets not forget their positions on other alcohol policy areas. Has the violence reduced in proportion to the number of patrons ? If there are less patrons and as a natural consequence less conflict? A Prohibitionist view on alcohol can’t be sustained in the face of the facts that alcohol is not the only factor – male violence is the wider issue, and alcohol plays a part. How did you measure the reduction in preloading ? As most alcohol is consumed at places other than licensed premises perhaps the other bigger issue is the uncontrolled discount supply of alcohol through bottle shops. Advertising for cheap wholesale grog in vulnerable communities would be a more worthy and effective target for research and change.